A Three phase Heavy Duty Industrial Vacuum Cleaner. The Dashclean F2 Series is suitable for capturing wastes that are continuously generated by various processing equipment. The Dashclean F2 Series Industrial Vacuum is widely used in packaging, pharmaceutical, precision machining and other industries. It is capable of continuous 24 hour uninterrupted work. Featuring overload and short circuit protection, this 415V three phase vacuum is available in 2.2kw & 3.0kw capacity and has an integrated power-supply module with Schneider units. 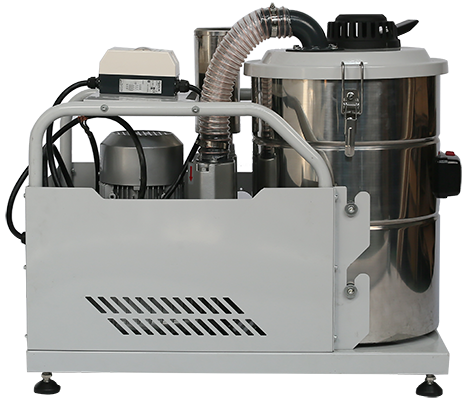 The F2 series comes standard as a stationary unit with complete stainless steel structure and a detachable 50L dust-collection tank.